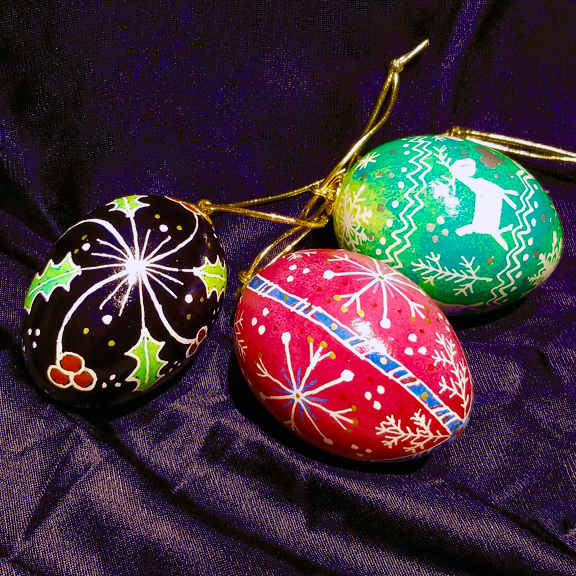 Give as gifts, hang on your tree, or display year round, come learn the batik technique and make beautiful pysansky – Ukrainian Eggs. Designs are drawn onto the emptied egg’s shell with beeswax that is applied using a stylus. The eggs are dipped into successively darker dyes and at the end of the process, the wax is melted off to reveal the colorful design. Please wear old clothes as dyes can stain. If you have long hair, tie it back to protect it from the candle’s flame. Each student will make two eggs.